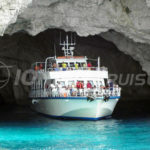 Discover the myth that´s hidden behind the history of every Greek island, by having your holidays in Greece combined with breathtaking boat trips. 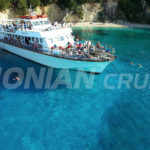 Our fleet is ready to welcome you on board for a luxury island cruise and pleasant journey to the unique beauties of the Ionian sea. 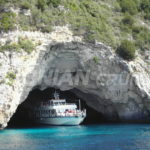 We invite you to join our daily cruises from Corfu & Lefkimmi Port. 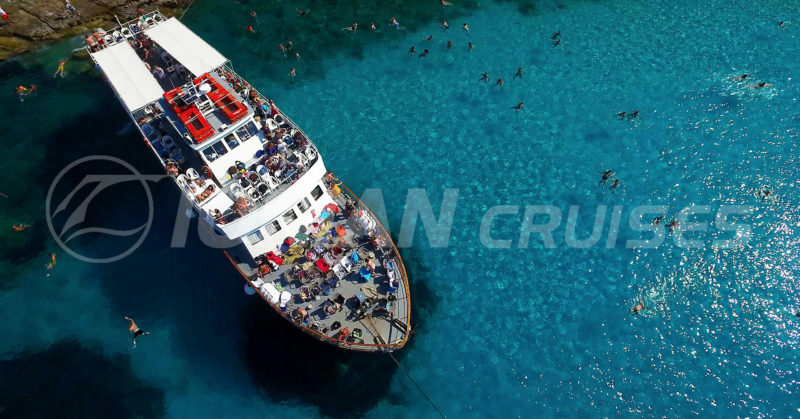 No Greek holiday is complete without a sea cruise. 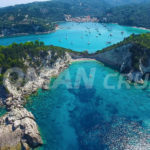 These three jewels of the Ionian Sea – the islands of Paxos and Antipaxos, situated close to the southern coast of Corfu, and the famous blue Caves of Paxos – offer a glimpse into the hidden, rugged beauty of the islands. The departing view of Corfu harbour provides a unique view of the old town and its two Venetian fortresses. As we head south, the Kanoni peninsula and the Palace of Mon Repos – the birthplace of Prince Phillip – come into view. 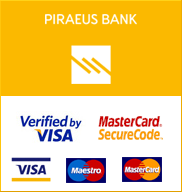 Also visible are the tourist resorts of Perama, Benitses, the village of Kavos and Corfu’s southern most point, the cape of Asprokavos. 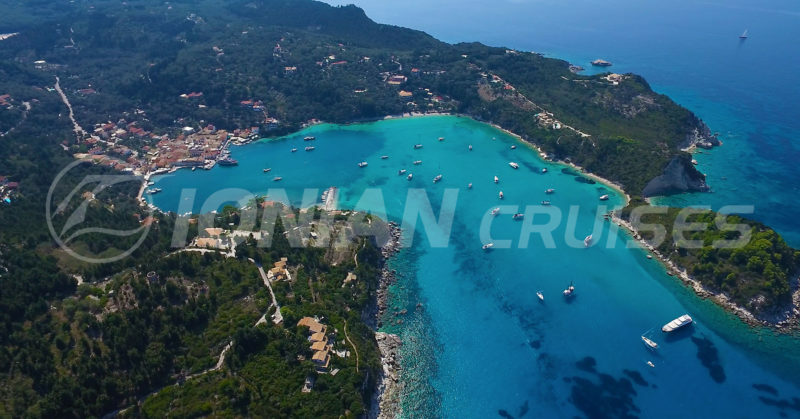 Approaching the channel between Corfu and Paxos, you are treated to a magnificent vista of the olive and cypress trees that cover the lush island of Paxos. 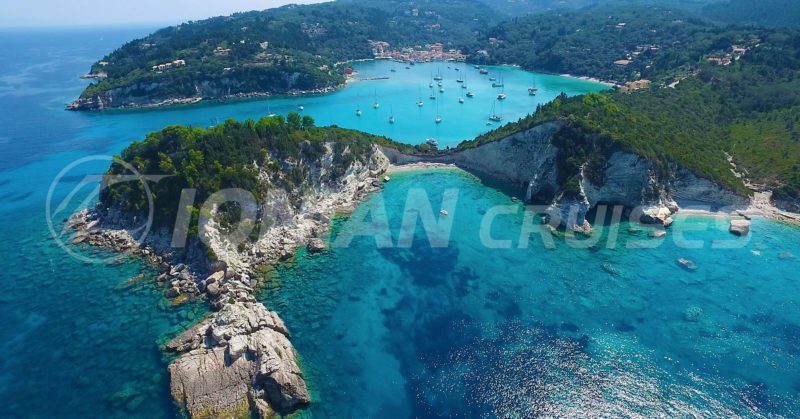 Legend has it that Paxos was formed when Poseidon severed the tip of Corfu with a mighty blow of his trident and dragged it south to create an idyllic retreat for his great love, Amphitrite! 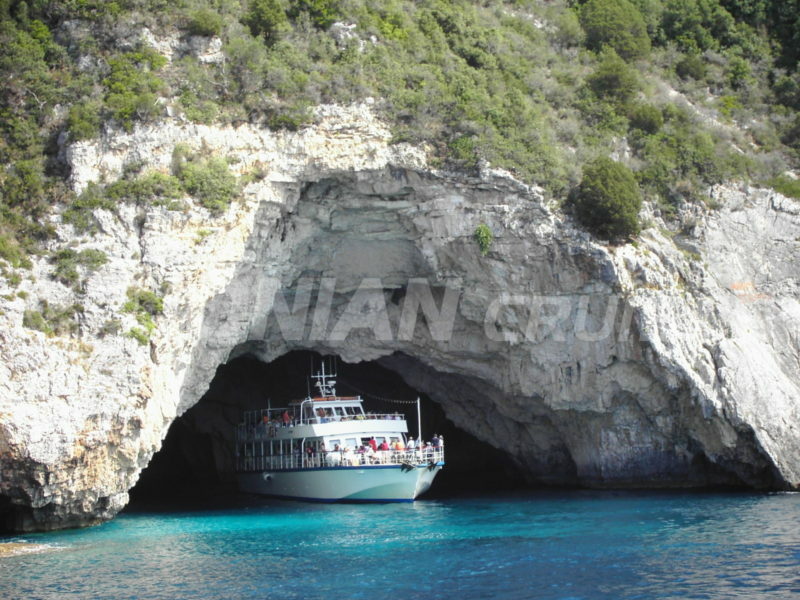 Poseidon´s marble palace – as legend has it – was located in Ahai, one of the blue caves of Paxos. 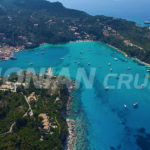 As we sail away from Corfu, the natural bay of Lakka comes into view at the north side of Paxos, unspoiled of massive tourism, traditional village suitable for those who seek tranquility. 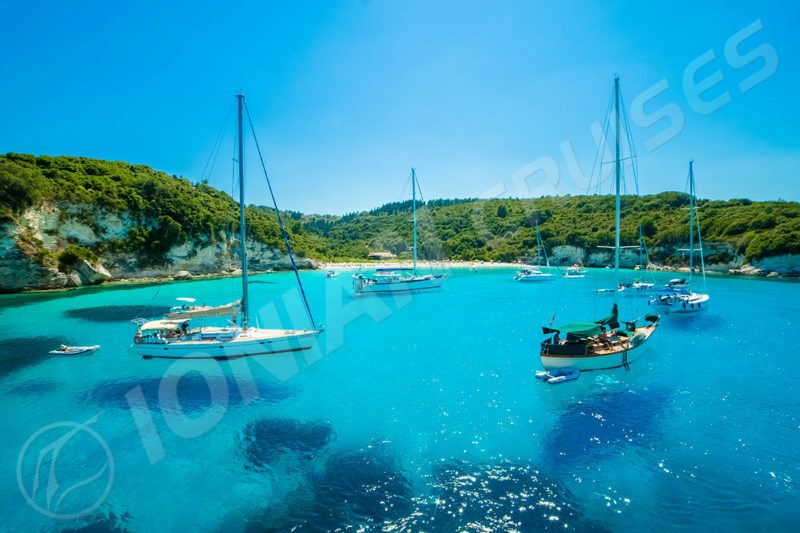 We continue sailing south along the west coast of Paxos island, enjoying the impressive rocky coastline and the unique white sandy beaches. 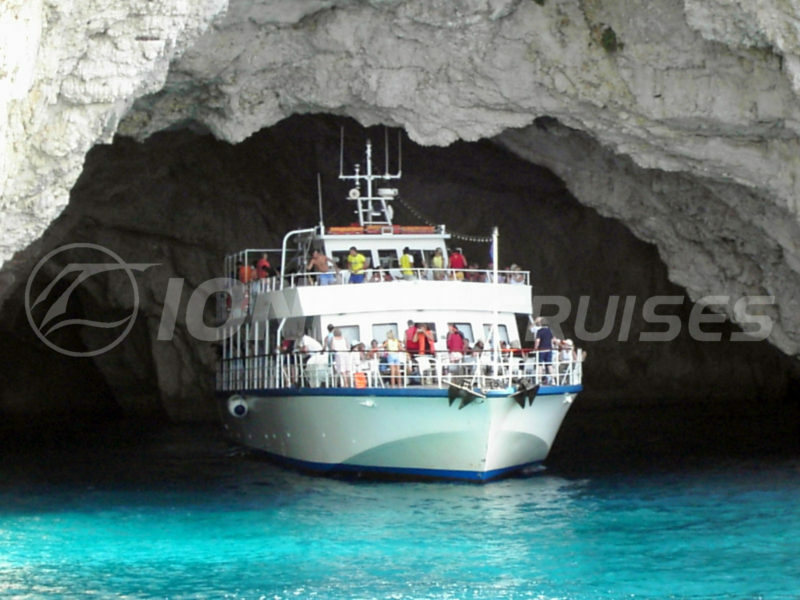 Next, the boat enters the breath-taking sea caves, whose clear blue waters will leave you speechless.The blue caves marine areais a natural habitat of the Mediterranean monk seal (monachus monachus)and all the island complex of Paxos, included in the European initiative ΝΑΤURΑ 2000. 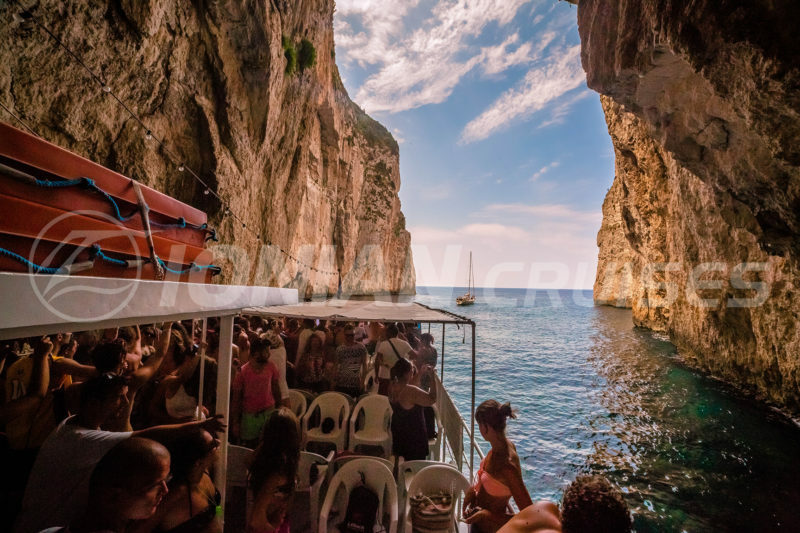 After exiting the caves, we arrive at the small but perfectly formed island of Antipaxos, whose sandy blue-water coves have been compared to those in the Caribbean. 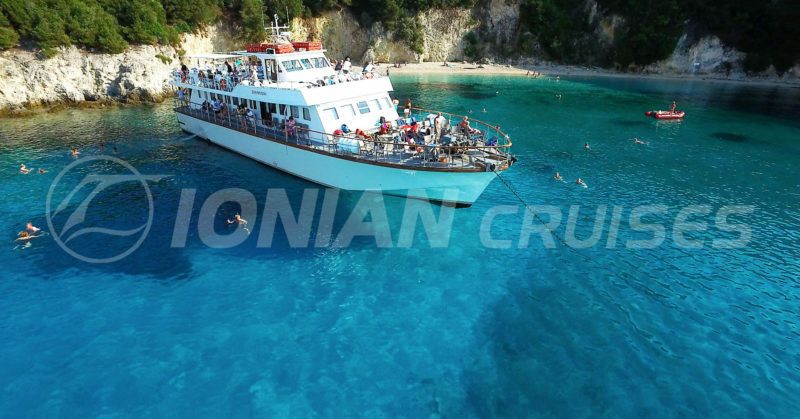 Here, you will have the opportunity to swim in the crystal waters of “Paradise beach” (Voutoumi),Our excursion returns once again to Paxos from the east side of the island and we can see the small islands of Skaltsonisi and Mongonisi. 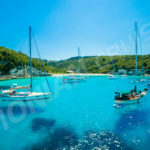 Sailing alongside of the narrow channel of Paxos and the islands of Panagia and Agios Nikolaos we moor to the centre of the picturesque port of Gaios village. 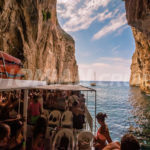 Where you will have the opportunity to wander through the wonderful narrow streets, visit the souvenirs shops and enjoy lunch at one of the traditional tavernas. 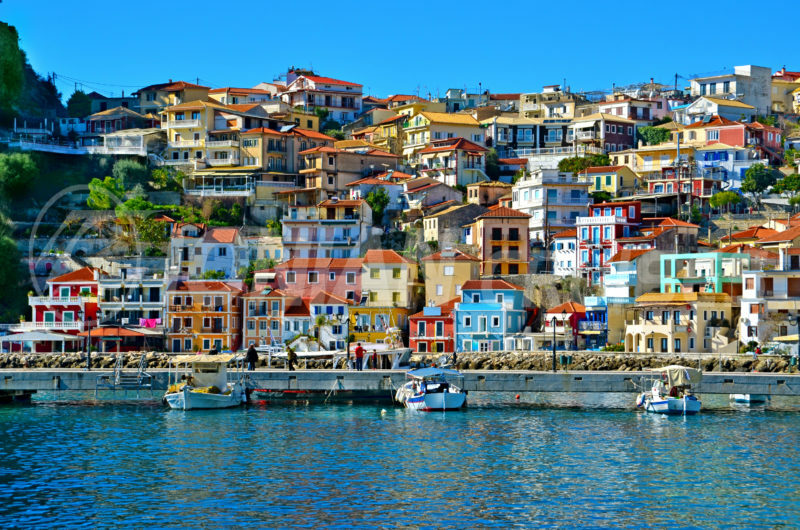 The Parga and Sivota Islands Cruise is the best way to experience the beautiful coast of Mainland Greece. First, our departure from the Port of Corfu gives a unique view of the Old Town, its two overlooking Venetian fortresses, the Kanoni peninsula and the palace of Mon Repos, where Prince Phillip was born. 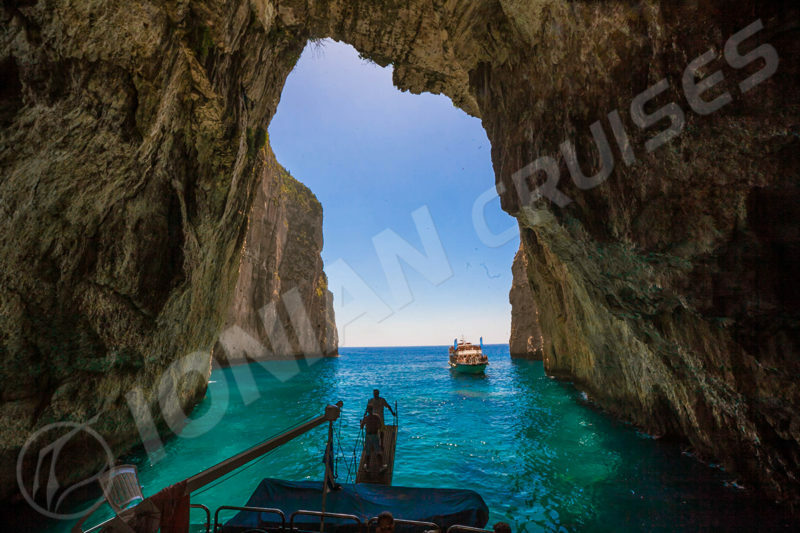 Heading south, parallel to the mainland, we pass the capital city of the Thesprotia region, Igoumenitsa, the small fishing village of Plataria and the Sivota Islands, where the ship enters the breathtaking cave of Sivota. During the Second World War, the Greek submarine “Papanikolis” was hidden here beneath the lighthouse. Parga is a large picturesque village with island architecture blessed, with a rich eventful history, rare physical beauty, interlaced beaches, emerald water, calm bays, olive groves, a healthy climate, romantic side streets, and pathways whose two- and three-storey houses form an amphitheatre beneath the imposing remains of a Venetian castle. One of Parga’s main attractions, this castle was built by residents in the 11th century to protect their town from both the pirates and the Turks. Parts of the castle were demolished by the Ottomans in 1452. The Venetians started to rebuild it but before the work could be completed it was demolished again in 1537 by the Ottoman admiral Barbarossa, who razed the fortress and the houses inside. For the third and last time, a stronger, impregnable castle was finally rebuilt in 1819. Opposite the castle, at the entrance to the port, there is a small island dedicated to the Virgin Mary, with a churchand severalmedievalVenetian and French buildings. 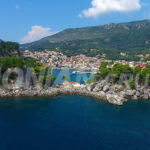 Every summer, on 15th of August, the port hosts the famous Varkarola – a magnificent celebration dedicated to the Pargians who returned to Parga from Corfu. 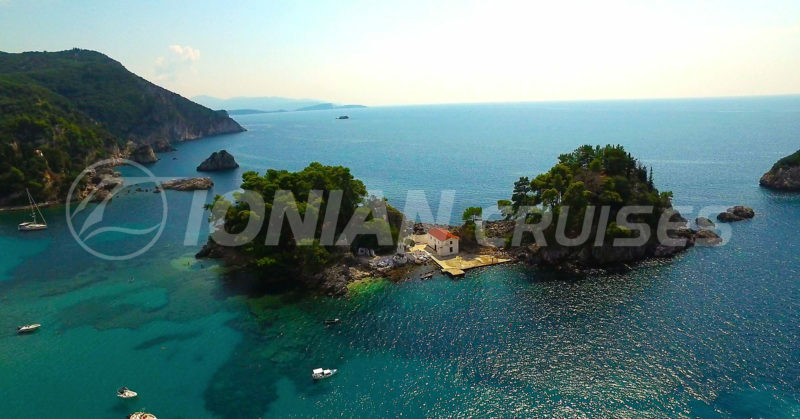 Do not miss the chance to explore the Venetian castle, whose main buildinghousesa photo exhibition of ancientParga.As you might expect, the castle also offers some stunning views over Parga and the Ionian Sea. 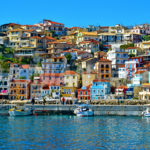 As afternoon comes around, you will have the chance to stroll through the wonderful narrow streets, discover the many interesting curios shops, and have lunch at one of the traditional seafront tavernas or enjoy swimming to one of the three beaches of Parga. 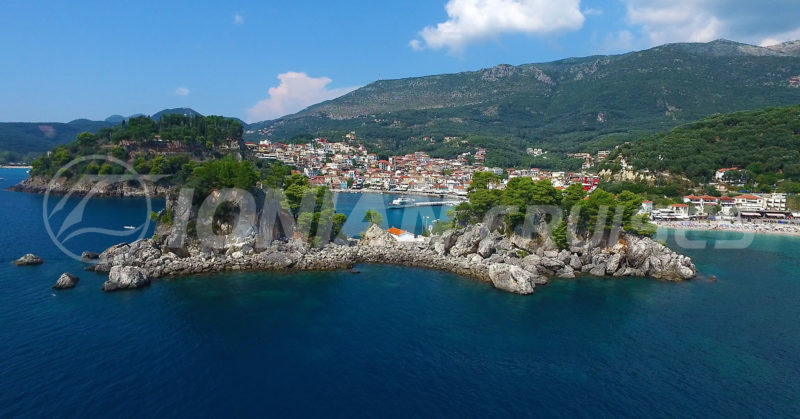 About 15 kilometres from Parga is antiquity’s most important oracle, the Oracle of Acheron. The ancient Greeks believed that the springs of Acheron were the gates to the Underworld. 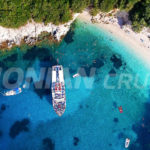 On the way back to Corfu, we sail around the historical small islands of Sivota, where the great naval battle between the Corfiots and the Corinthians took place in the summer of 432 B.C. Many of the vessels sunk in the fighting are still there at the bottom of the sea. 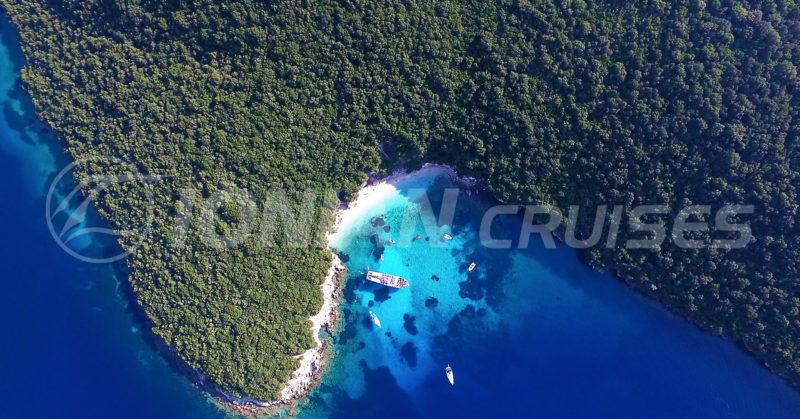 Soon afterwards, we arrive at the picturesque Blue Lagoon bay, where historians say the Arabian pirates moored their ships in the Middle Ages. 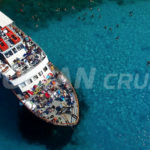 We drop anchor close to the beach, and you will have the opportunity to swim in the lagoon’s exotic blue waters. Among Mainland Greece’s most beautiful features, the Sivota are blessed with sun-soaked shores, sandy beaches, natural coves and fjords. First, our departure from the Port of Corfu gives a unique view of the Old Town, its two overlooking Venetian fortresses, the Kanoni peninsula and the palace of Mon Repos, where Prince Phillip was born. 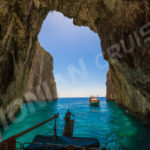 Heading south, parallel to the mainland, we pass the capital city of the Thesprotia region, Igoumenitsa, the small fishing village of Plataria, and the Sivota Islands, where the ship enters the breathtaking cave of Sivota. During the Second World War, the Greek submarine “Papanikolis” was hidden here beneath the lighthouse. 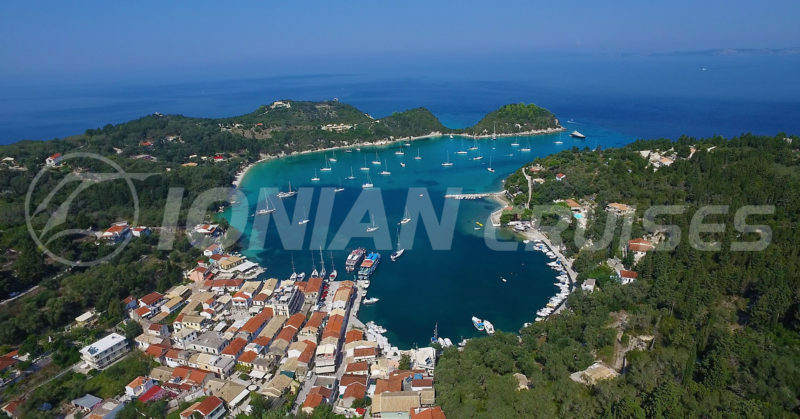 Next, we sail around the historical small islands of Sivota, where the great naval battle between the Corfiots and the Corinthians that started the 30-year Peloponnesian War took place in the summer of 432 B.C. To this day, many of the vessels sunk in the fighting remain at the bottom of the sea. 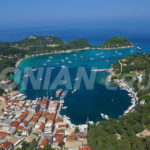 Soon afterwards, we arrive at the traditional marina village of Sivota – a location that attracts dozens of yachts during the summer. Here, you will have plenty of time to stroll around the village, visit the souvenirs shops, or have a drink in one of the traditional seaside cafeterias. A pebble beach with crystal clear water – perfect for swimming and sunbathing – is just a five-minute walk to the north of the village. Our next destination is the picturesque Blue Lagoon bay, where historians say the Arabian pirates moored their ships in the Middle Ages. 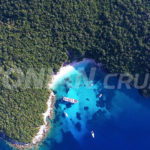 We drop anchor close to the beach, and you will have the opportunity to swim in the lagoon’s exotic blue waters. 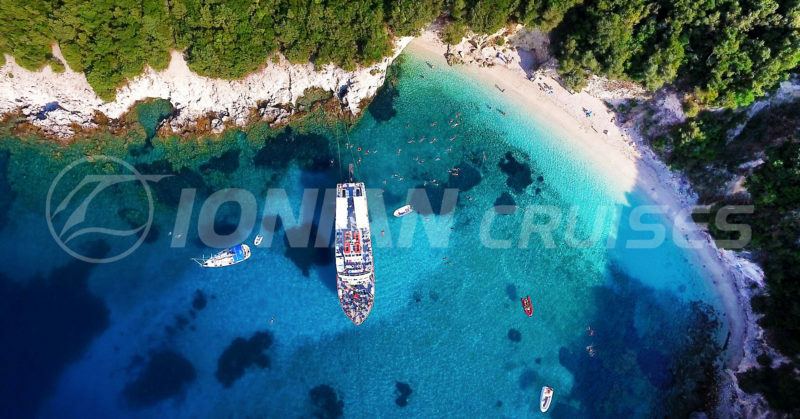 These are unforgettable experiences of the Ionian Sea, and we look forward to share them with you aboard in one of our ships.